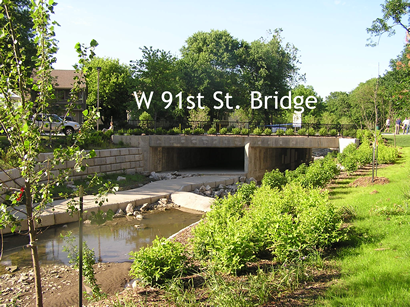 The Brentwood Reach of Little Mill Creek is approximately 3,600 lineal feet of urban stream through dense single family residential neighborhoods located between 87th Street and Brentwood Drive. 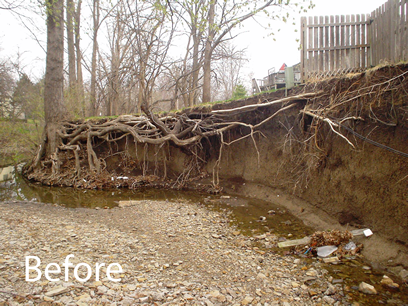 The problems were property flooding, road topping, systemic bank erosion and creek bank failures. 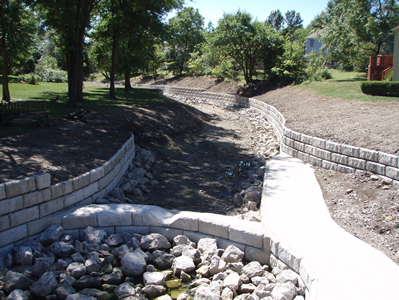 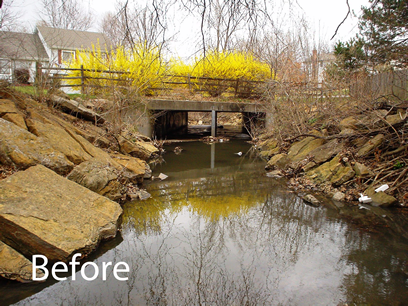 Intuition & Logic, teaming with CDM and PBA provided geomorphic assessment, grade control design, bio-stabilization design, two stage culvert configuration, and retaining wall geometric design to establish the retaining wall base elevation below scour depths and top. 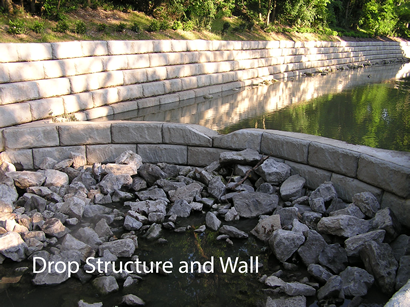 Final channel stabilization was achieved through a series of 6 drop structures of 2.0 feet to over 3.5 feet, constructed using 2,500 pound Redi-Rock modular blocks. 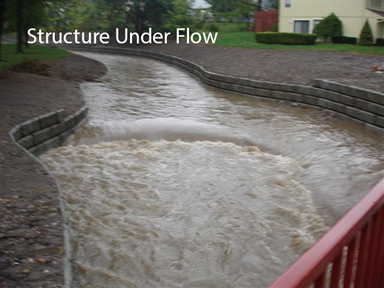 The design also included over 4,000 lineal feet of Redi-Rock retaining wall, three new cast-in place, two stage reinforced concrete double box culverts, and two pedestrian bridges, among other improvements to storm and sanitary infrastructures.